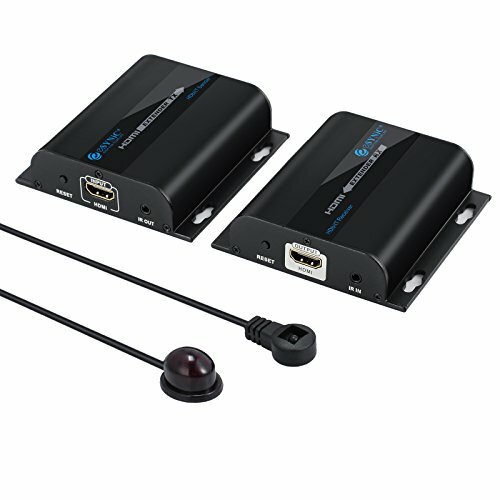 The 120m HDbitT HDMI Extender that not only can work as other normal HDMI extender by transmitting HDMI signal via single CAT5/CAT5e/CAT6/CAT7 cable, but also can transmit HDMI data over local network. The data could be transmitted over switch, router and other Ethernet device. 【IR Remote Control】Allow Source Device to Recognize Remote Commands, and You Can Control The Source Device at a Secondary Location. 【Warranty】All eSynic Product Come With 18-Month-Warranty and Lifetime Customer Support. If you have any questions about this product by eSynic, contact us by completing and submitting the form below. If you are looking for a specif part number, please include it with your message.